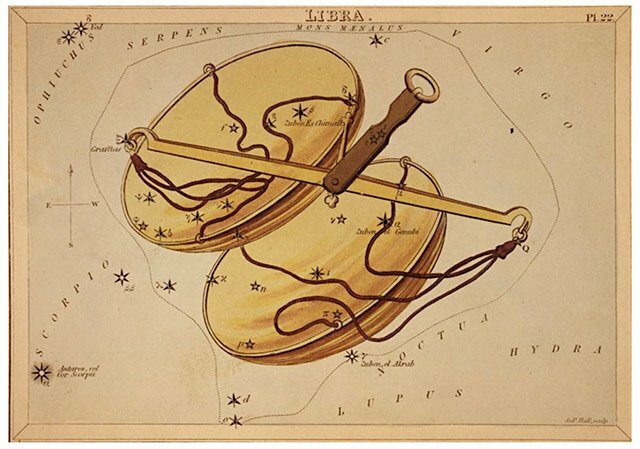 What does it mean if your Star Sign is Libra? → Click here to read your Libra horoscope! Upside: Libra all have a sense of fair play about them and become completely upset if they perceive that something is unfair or unjust. They are prone to talking for long periods of time about their favorite subjects. Generally the decisions that a Libra makes are the ones that will benefit the most people. Libra are often self-sacrificing for the good of the team or the family. Downside: Because Libra take so long to make decisions it can be perceived as laziness, or absent- mindedness. Libra, because of their sense of justice and fair play, will often become argumentative to the exclusion of decorum or appropriateness. Libra don’t like to be in charge, but they like to have a say and to be heard. Libra is an air sign, like Gemini and Aquarius.